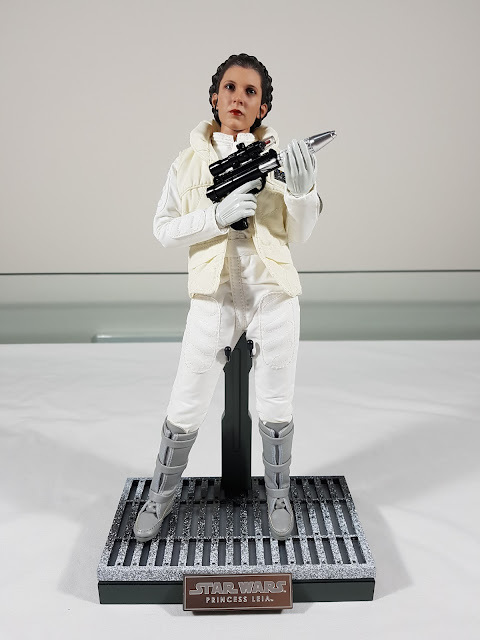 There's never been just one iconic costume for Princess Leia, and her style from Hoth is as memorable as any of her other outfits. 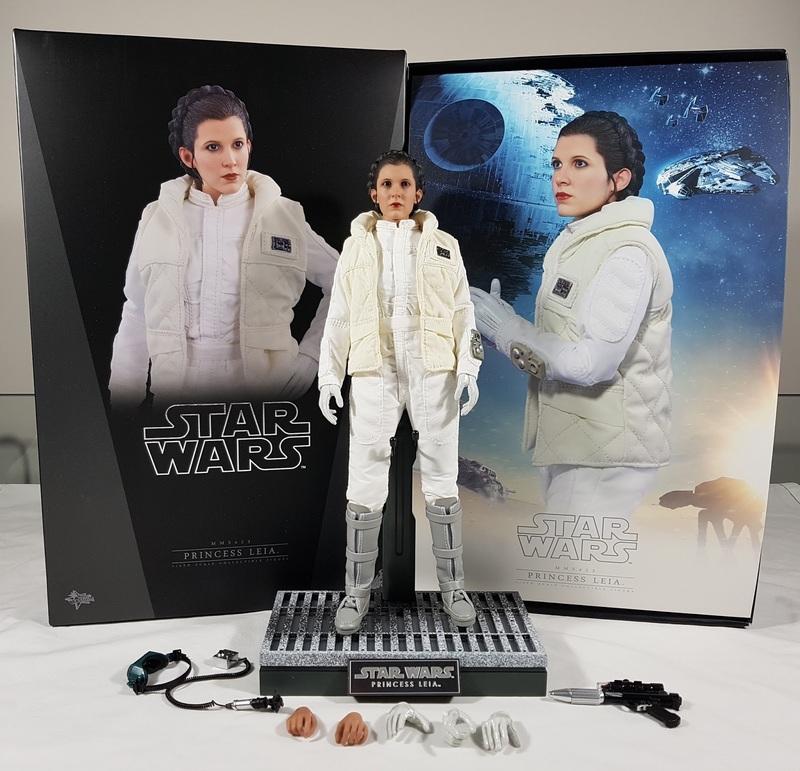 This new release from Hot Toys does it justice, just as their first figure with her classic Death Star costume. She doesn't come with too many accessories, but what she does come with is nicely detailed. I won't bother using the breathing apparatus or welding goggles. But the blaster is nicely painted in glossy black with the silver tip, and she looks great holding it. The costume is nicely tailored, with great stitch and patch work throughout. Early reports had people receiving figures with strange coloured dots near the areas of patchwork. Apparently this is ink to guide the factory workers and sewers, but luckily mine was fine. 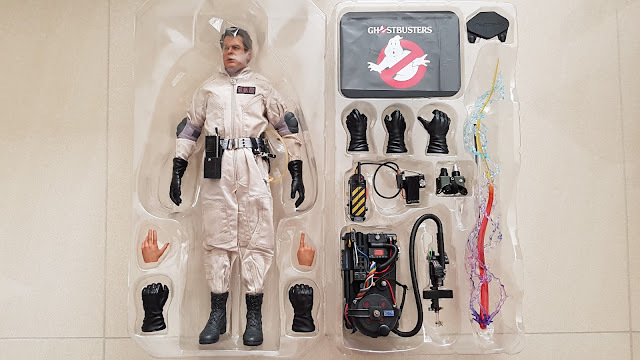 My first figure arrived with a broken arm and Sideshow sent me a replacement body. It was an absolute pain the arse to push the pants of the new body in the boots. 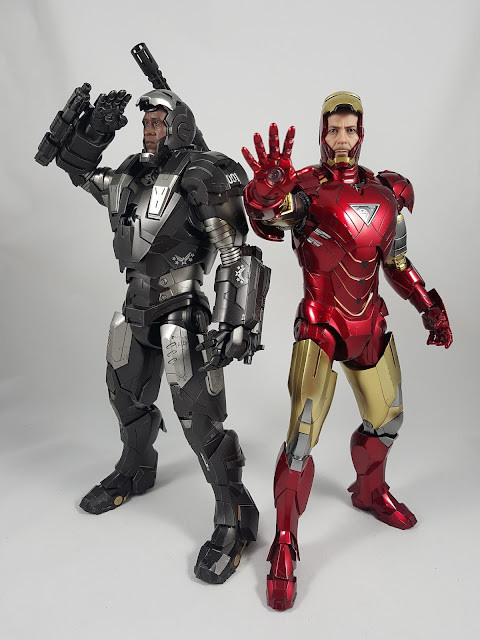 I had to use quite a bit of force and one of the little tools Hot Toys gives with their Iron Man figures. That was the only way to push the pant material into the boots without them looking too bunched. I would not recommending taking those boots off for any reason! The boots are a nice fake leather type material, with good ankle articulation. The overall body articulation is also decent, but the suit does restrict it a little. But you can still get her into a decent pose to try and replicate her attitude. The head sculpt has a slight difference to the prototype. I do think the head sculpt is good, but could have been better. From some angles it looks perfect, but from others it looks too thin in the cheeks. 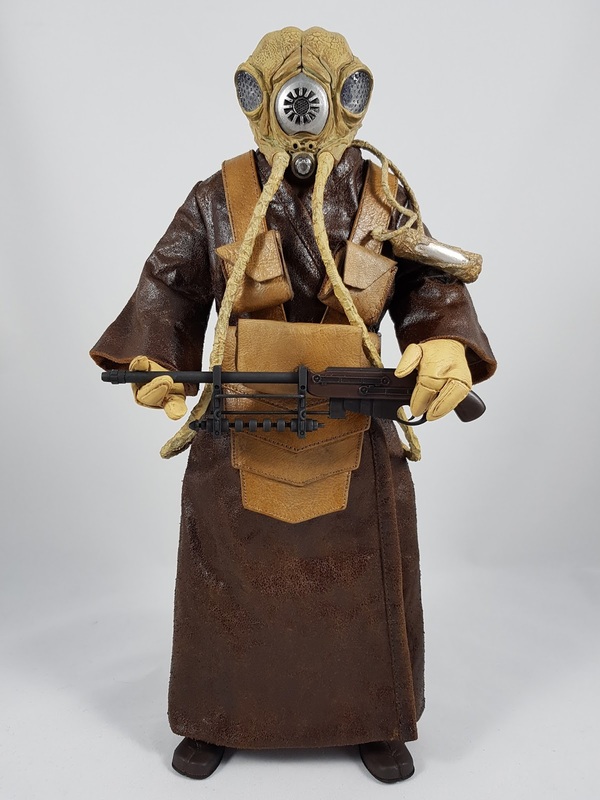 Still, it's instantly recognisable and on par with their ANH Leia figure. Overall, it's awesome that we're getting more original trilogy figures from Hot Toys. I really hope they do a Han Solo and Lando Calrissian from Empire one day! 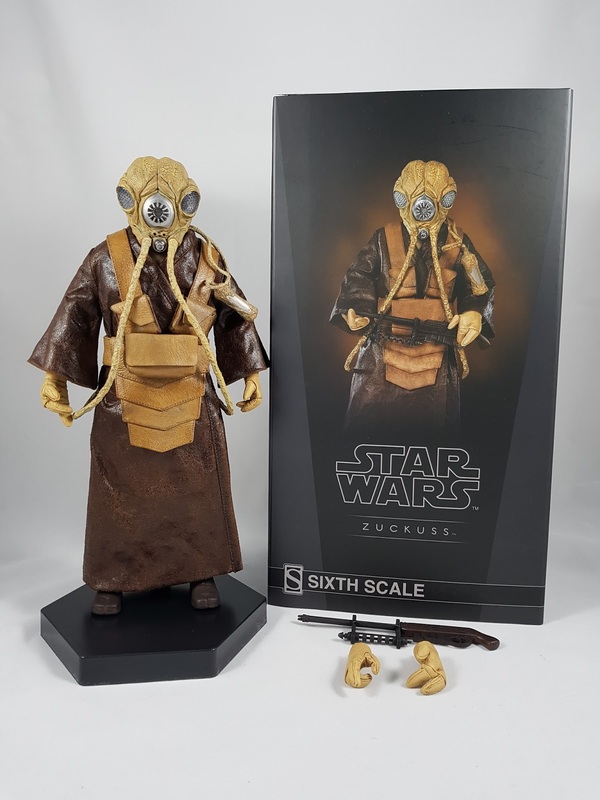 If you're a fan of Star Wars, I'd jump on board and grab this figure while you can! 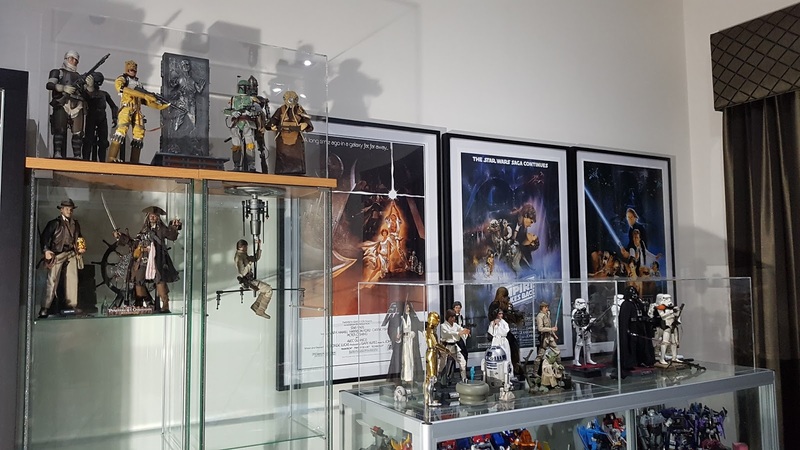 Those were and still are some of the best figures in my collection, rivaling anything from the top manufacturers like Hot Toys, Blitzway, and Sideshow. Their figures have certainly some of the best costume tailoring and attention to detail in the accessories. 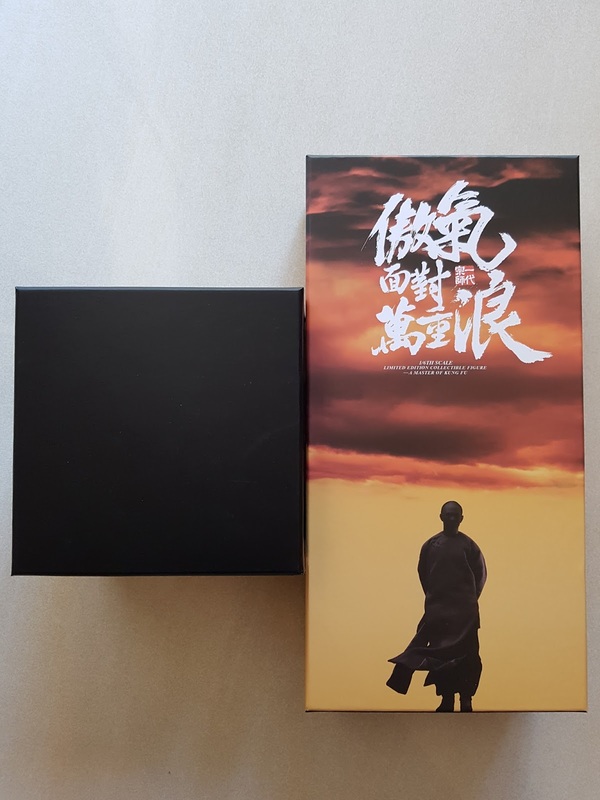 When I saw their announcement for the classic Jet Li character Wong Fei Hung from the HK kung fu classic Once Upon a Time in China, it was an immediate must-have. The Deluxe Edition looked to be an incredible set, and now that I have it, it was well worth the wait! The packaging is fairly nondescript, with a shot of the figure replicating a movie promotional photo I believe. The Deluxe Edition lion head is boxed separately in a small black box. 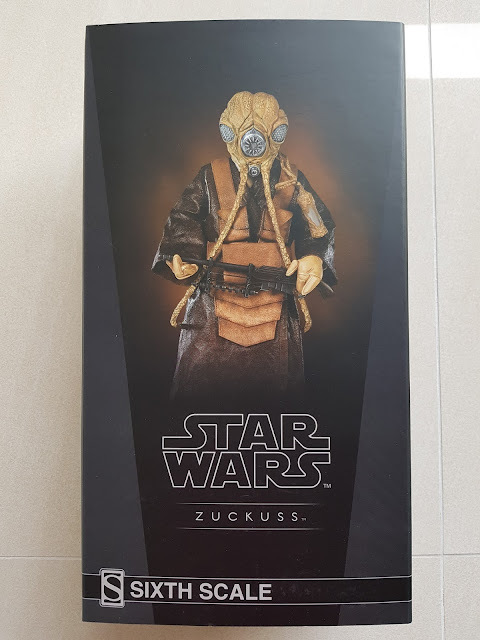 So the packaging itself doesn't really even give a hint of the awesomeness within! It's when you complete the unboxing and gaze upon everything that is included, and the high standard of quality that the contents, that the amazing job by Inflames and Newsoul becomes evident. The array of accessories is impressive, particularly with the parts that make up the flag. The main fabric part of the flag is printed beautifully with the tiniest of details. The flag post itself is metal, which adds some needed weight and stability. 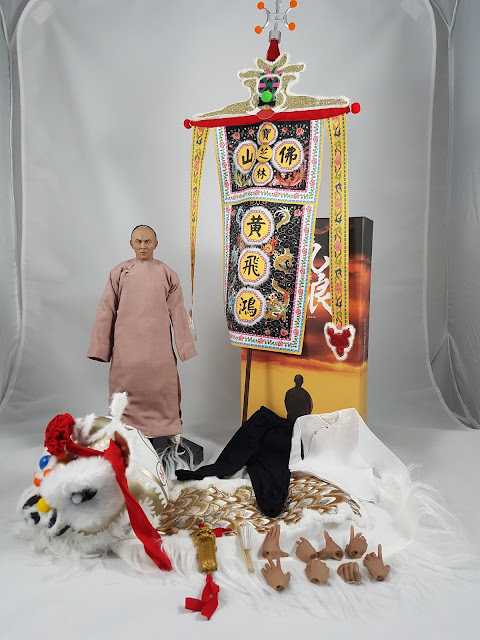 The tip connects to the red tassels, and then the mid-section is made up of cardboard with patterned and glued ornaments. Everything is then tied to the flag post via fabric straps. The assembly instructions are quite easy to follow and the result looks amazing. The Deluxe lion head is also incredibly detailed. The end coat with its patterned finish and fur edging is just beautiful. The head itself has all the typical features of a classic Chinese lion, with the fur-surrounded eyes and ears, and the mouth that can open and close. The ears were a bit fiddly to insert, and I had to widen the holes with some thick needles. Other than that, it was fairly easy to assemble and tie the red floral bow to its head around the ears. Other accessories include the gold medal and a swap out costume. I didn't bother swapping out the clothes, as all the details in the little buttons and straps around the ankles looked too time-consuming to do. 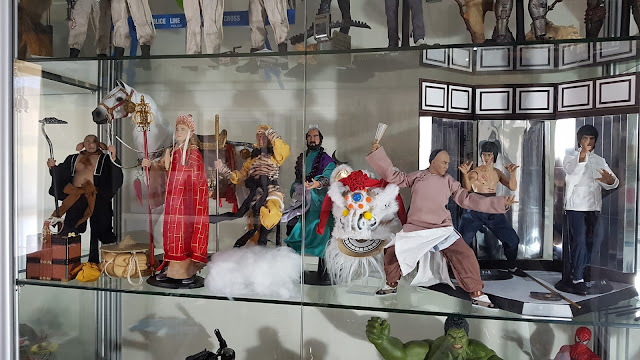 I remember how long and frustrating it was just to swap out the costume on the old Hot Toys DX04 Bruce Lee, and I just didn't have the patience to do it with this figure. 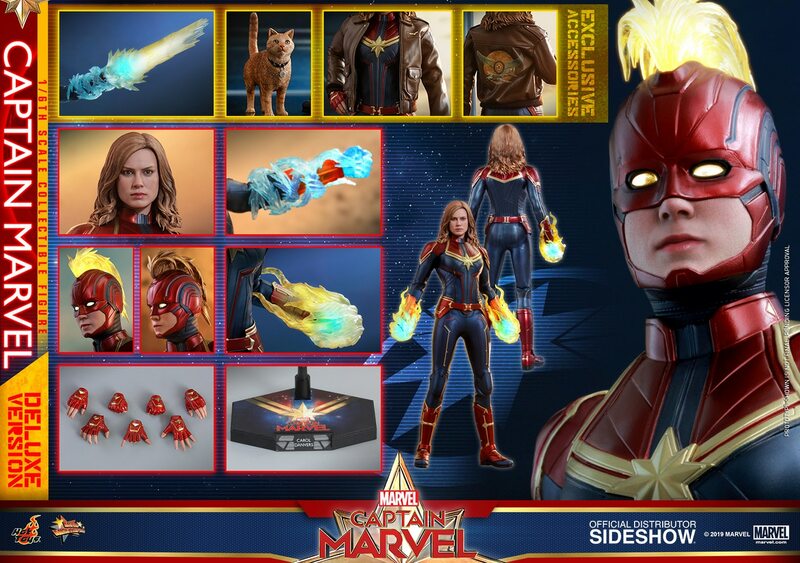 Luckily the base costume still looks amazing, and still reflects the character's iconic Chinese Kung Fu Master style. The long outer cloak has a great wire at the bottom edge so you can pose it as you like. The flow of the arms works well in most poses, and the underlying pants and shirt don't restrict the articulation. With the assortment of hands and fan accessory, you can get him into pretty much any iconic pose from the movie. I just wish they had included sunglasses, a hat, and umbrella to give the option for the other classic costume he had. Perhaps the only area of the figure to be careful of is the rooted hair. It's beautifully tied tightly back into a long braid, but stray strands may appear if you touch it too much. I had a few loose strands that I used some pomade to style back. It worked well, and the rooted hair and braid gives a lot of realism to the figure. I think the head sculpt likeness is great, and matches well against Jet Li's youthful look in the movie. The paint application is pretty nice too, with some realism that Inflames did not have in their more flat paint application of the Journey to the West figures. 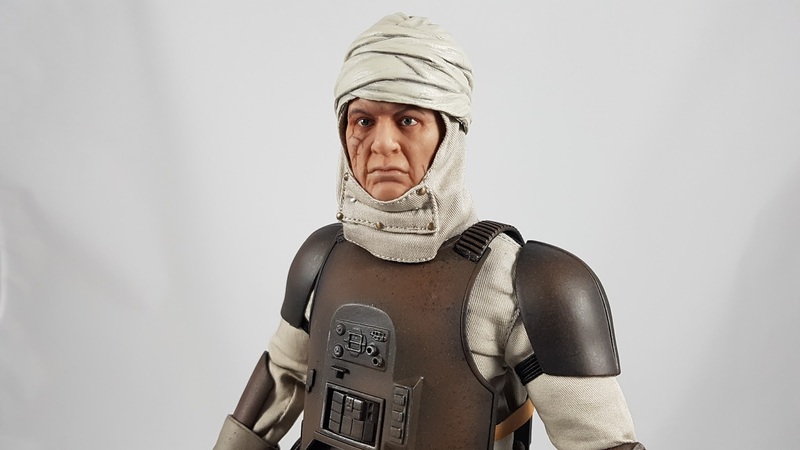 Overall, with the costuming, fantastic underlying body, rooted hair and great facial paint app, this ranks right up there with the best 1/6th scale figures in my collection. Displayed with the other Inflames figures, they really do show off the superior tailoring that Inflames are now rightfully praised in the collecting community. They have found and established their niche with characters from Chinese classical mythology and movies, and they do it so well. 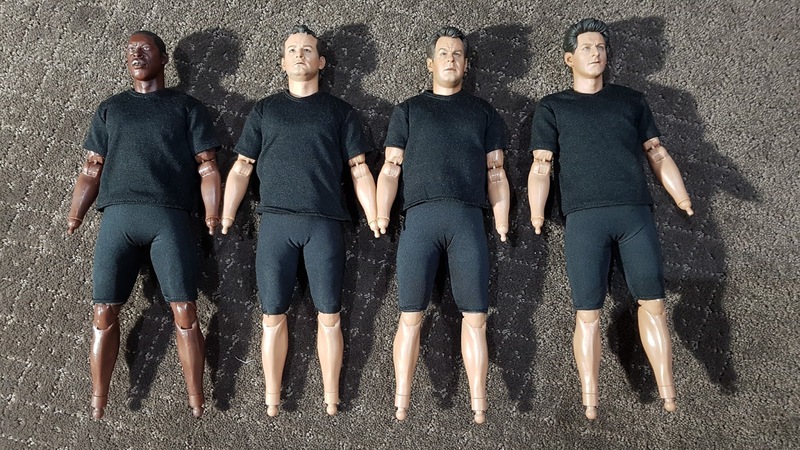 Their upcoming figures demonstrate how they are also pushing the limits in terms of 1/6th scale muscular seamless bodies and paint application. 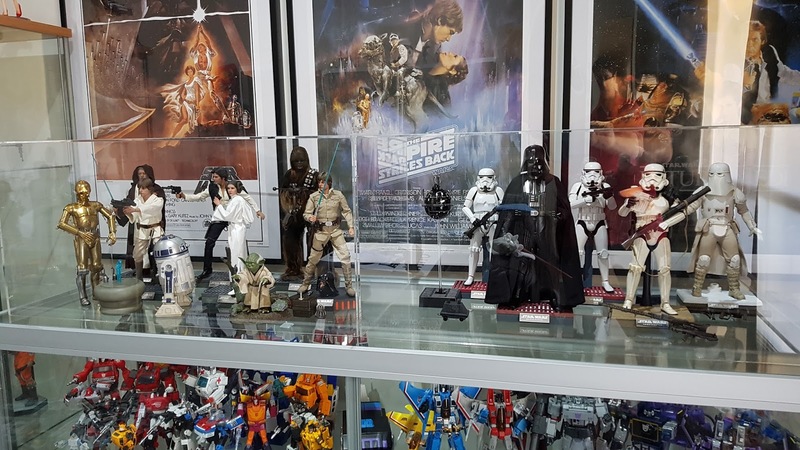 Inflames and Newsoul Toys are definitely a collaboration to watch out for! 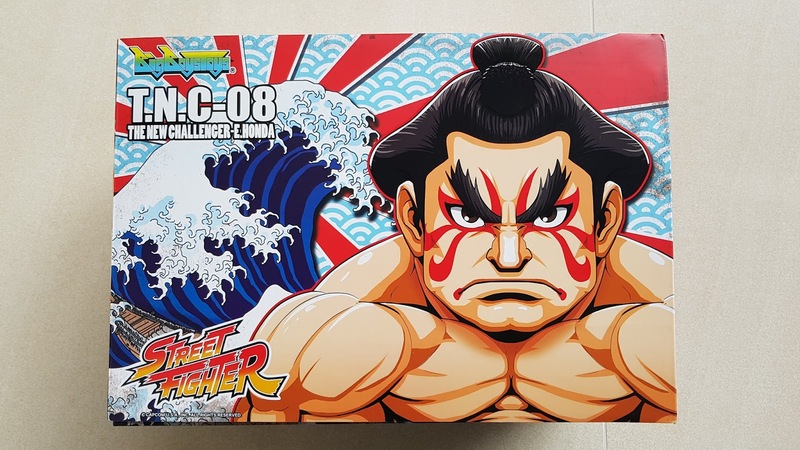 If you follow the Kool Kollectibles Facebook page and YouTube channel, you'll know that I've loved this series of Street Fighter world warriors by BigBoysToysHK. The style of the entire series has been one nostalgic home run after another, with excellent build quality and paint application throughout. 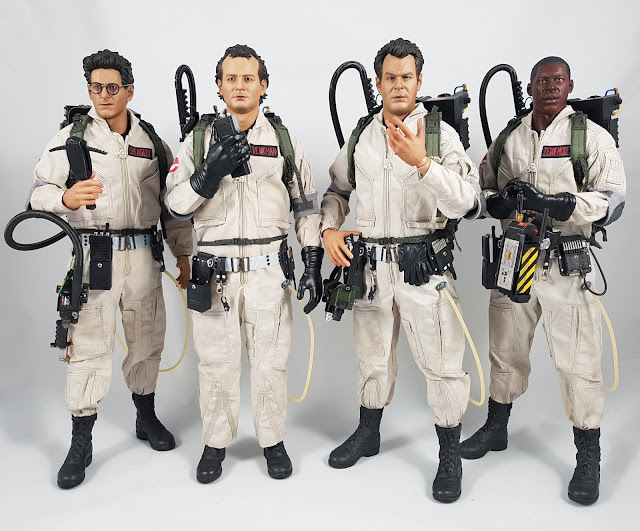 This latest release in E.Honda means the original 7 world warriors have now been released in the series, along with Akuma. All that remain are the 4 original bosses, and they've already teased Vega. 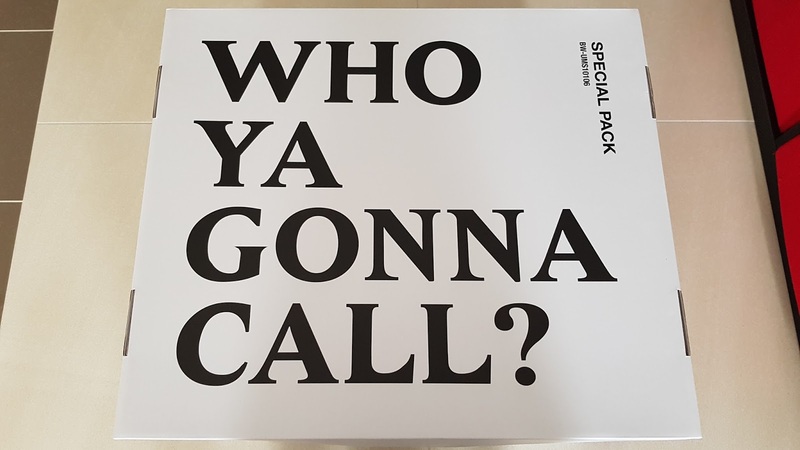 To complete the original cast in this series will be a fantastic achievement for BigBoysToysHK, and will be cherished by Street Fighter 2 fans for many years to come! 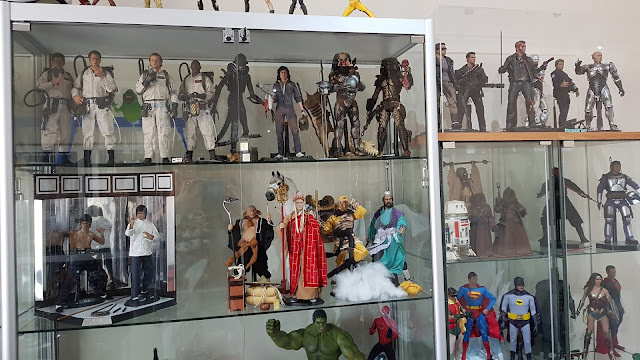 Click through below to check out my full video review over on the Kool Kollectibles YouTube channel. 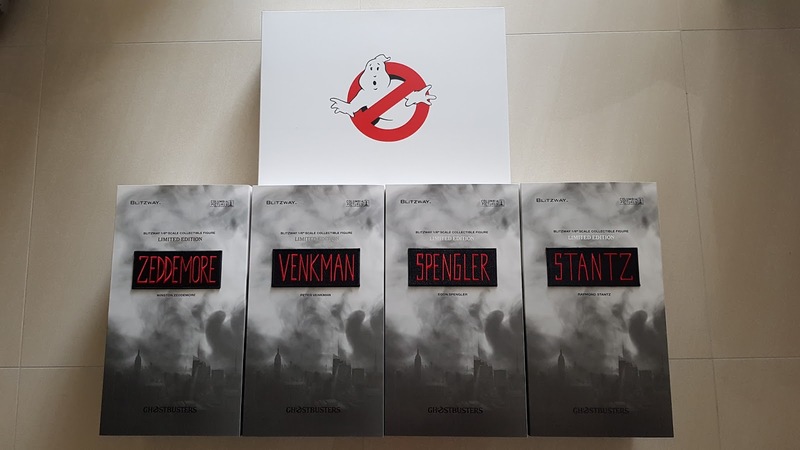 Hope you can subscribe and check out the other reviews I have from the series. 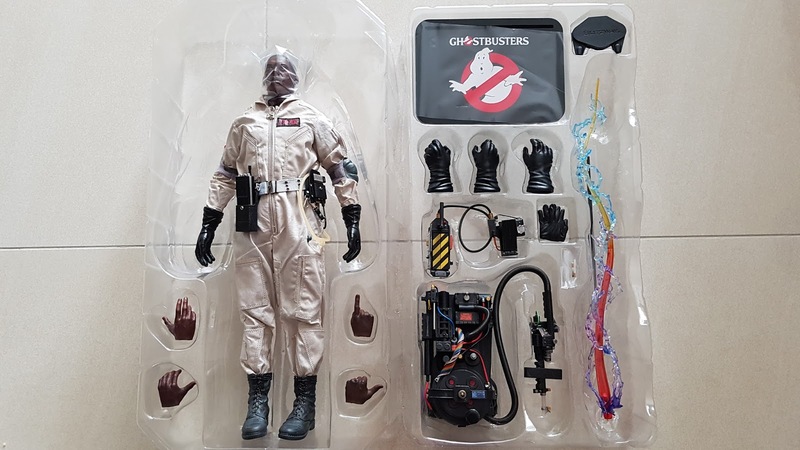 The box art follows the design of the previous figures, with gorgeous cover art and a velcro front flap that opens up to reveal the statue inside. The design is consistent with the previous releases, with a nice super-deformed style that suits the source material well. 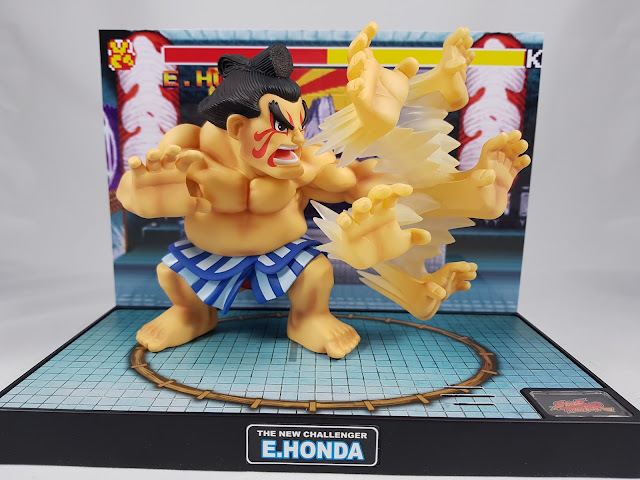 The sculpt on E.Honda is beautiful, with all the usual shading in the skin to really bring out the musculature. Some have complained that the hands for the Hundred Hand Slap are from both hands, but that is perfectly accurate to the game! 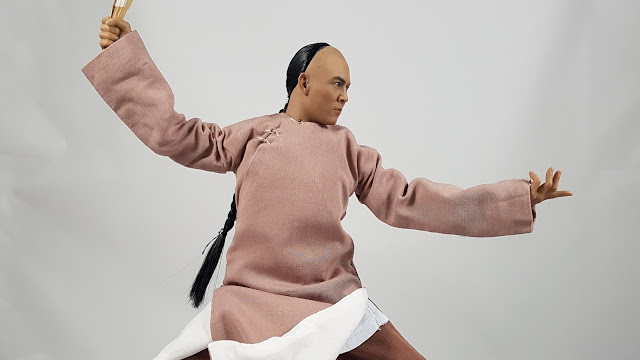 The animation models clearly show that he uses both hands to perform the move, and the right compromise by BigBoysToys was to show all the hands whilst keeping the static right arm in place. I think it works well. The sound and light up effects are nice as they usually are, and masking the sound button is certainly a lot of fun that brings back fond memories in the arcade. 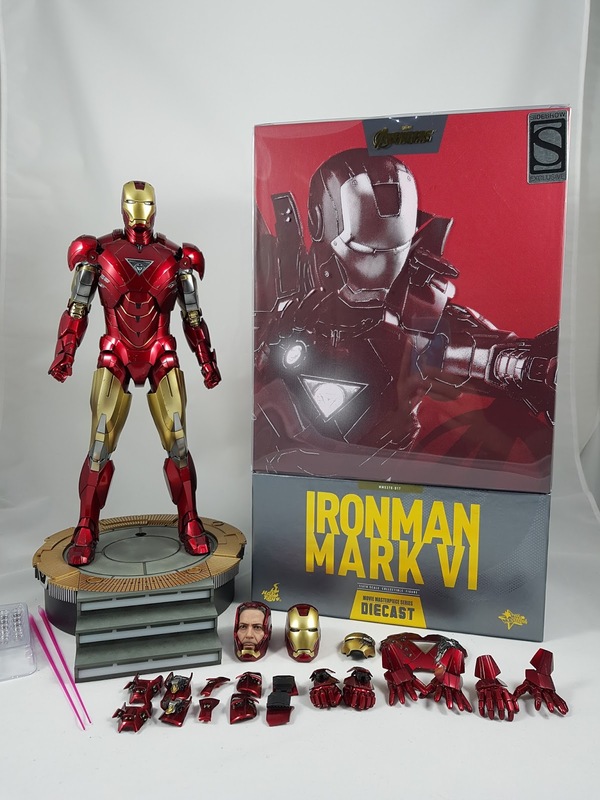 With the classic base and backdrop from his stage in the game, this is another beautiful release by BigBoysToys. I cannot wait to order Vega, and see how they design Sagat, Balrog, and M.Bison! 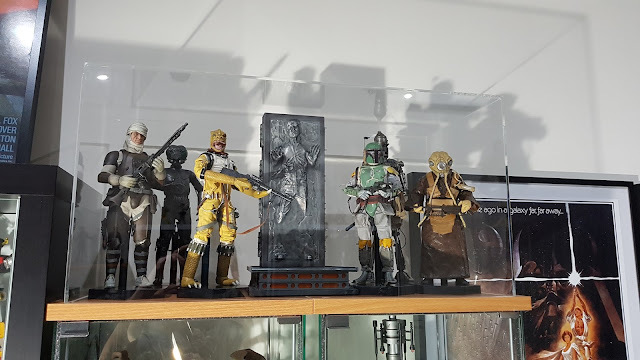 It seems a lifetime ago that Sideshow released some bounty hunters. The original releases of Boba, IG-88, and Bossk were definitely years ago, and the release of 4-LOM back in May 2017 was a good sign that more was to come. 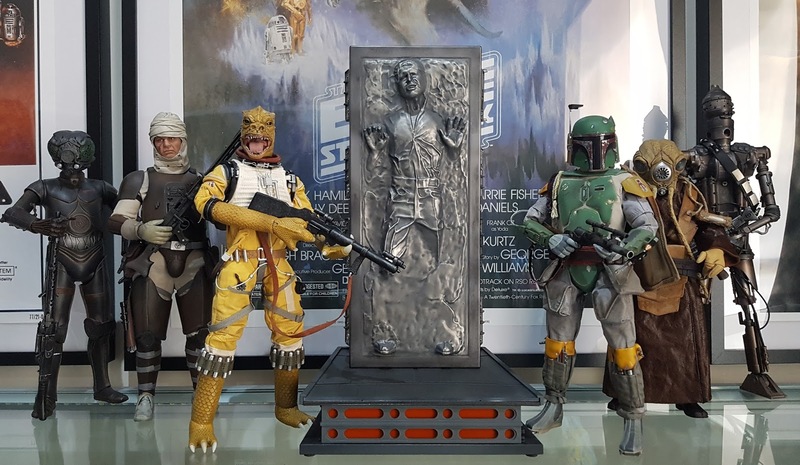 And finally Sideshow released the last two remaining bounty hunters from that classic scene with Vader in The Empire Strikes Back, with Dengar and Zuckuss being released in quick succession. 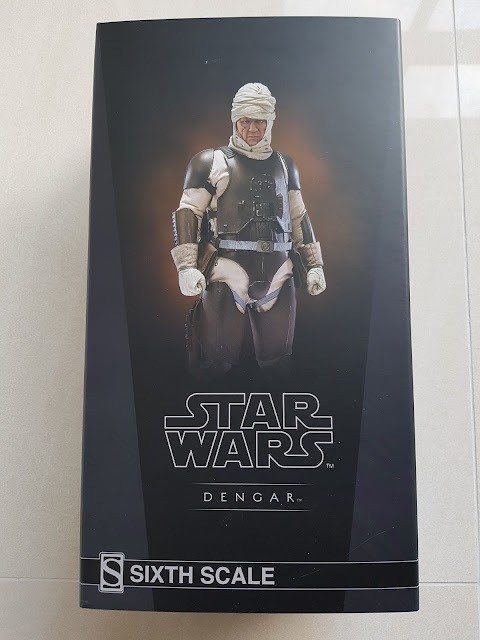 Although Zuckuss shipped first, I somehow managed to get Dengar first! Packaging is the usual simple style mandated by Lucasfilm. 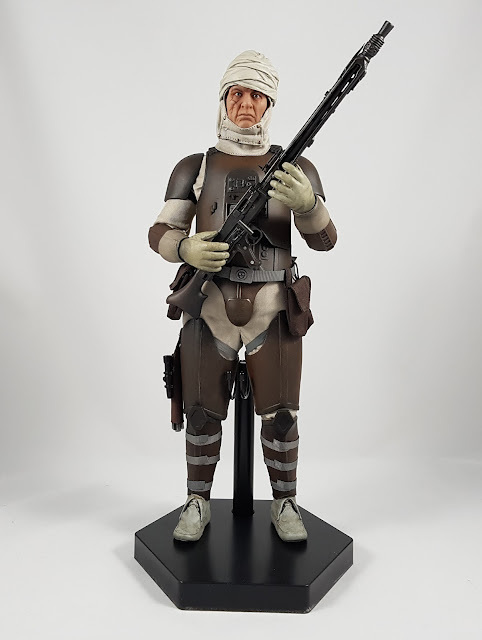 The photos of the figure are decent at least. 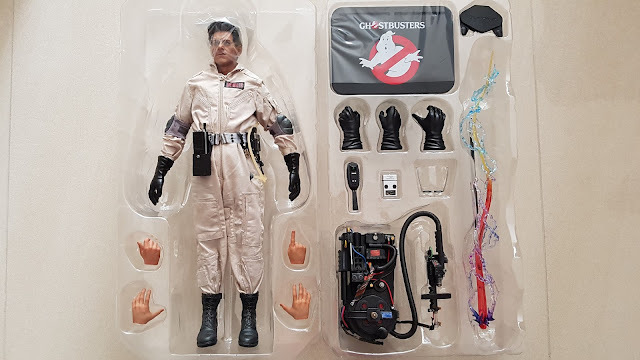 He doesn't come with all that much, and for the price that's a bit disappointing. 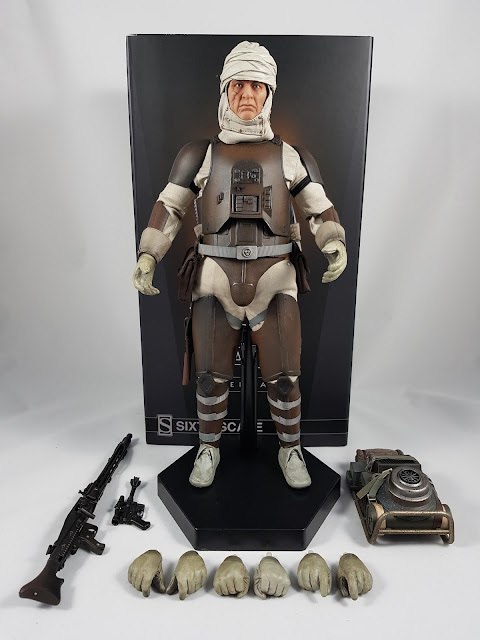 I think the price range on this one should've been a little lower, but I think Sideshow were banking on the demand to complete the ESB bounty hunters. The backpack is nicely done, with magnets to attach it to the back of the figure so there's no frustration in attaching straps. The weapons are nicely detailed too. Be careful inserting the pistol into the holster, but it should fit all the way in if you go slow. 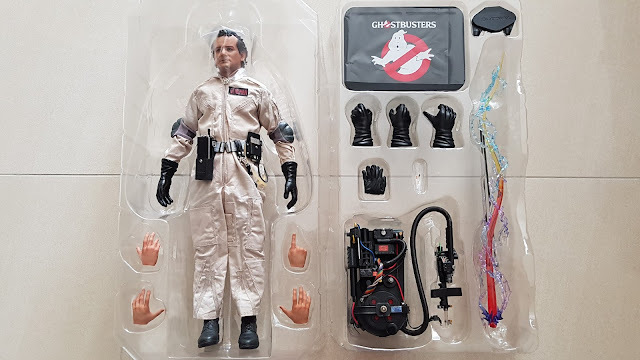 The assortment of hands aren't bad, and I suspect most collectors will chose those most like the movie pose. The facial paint app is pretty good, but still lacking that extra realism from the likes of Hot Toys. The red around the scar isn't too bad, but I would've preferred it a bit deeper in colour. 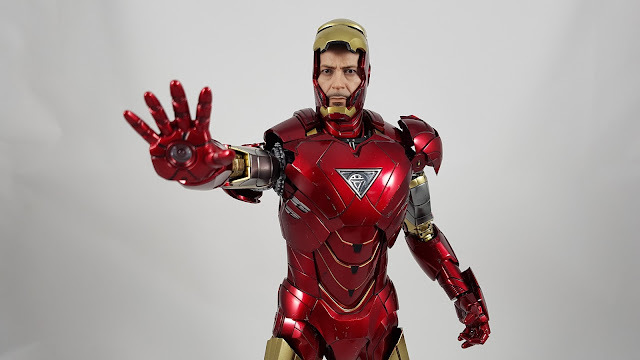 The eyes do have gloss, but still lack that realism of Hot Toys too. The lower cowl is made of fabric, and it actually covers his head. But the upper part around the top of his head is actually sculpted very soft plastic that is removable. I guess they did that to retain the shape and style, but a fabric version would've stepped it up a notch in quality. I still think it looks pretty good, and can be rotate and tilted to capture the pose you're after. As for posing the figure itself, articulation is extremely limited. On mine, the arms move fairly well, but the torso, hips, and legs can barely move due to the suit or the underlying clothing. The armour at least is nicely weathered. I thought it was too dark in some early photos, but in hand it looks quite nice. The boots are also nice, with what seems to be fabric socks or anklets leading up to the shin and calf areas. All in all, you can get him into some poses that match his look in the movie quiet well. But if you're after something more dynamic, you'll certainly come away disappointed.